/scoreboard objectives add Riding dummy that adds the Riding dummy. The command on the far right, that detects is the player is in a boat, never fires off. Is there an update that I missed in 1.12.2 that changes the tags? 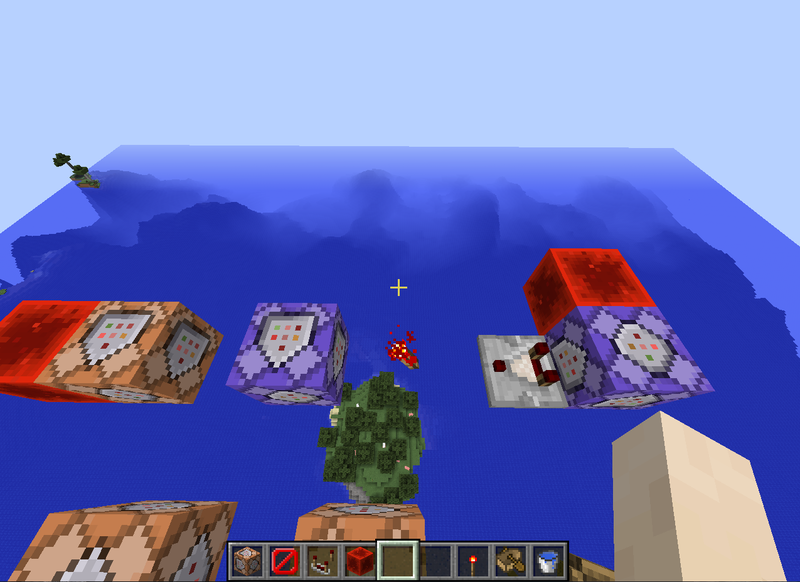 The command block output remains blank, ad the other purple command block outputs that it found my player and set the Riding value to 0. Why is it not detecting me in a boat? This is a multiplayer server. Then, you're executing when Riding=0 instead of Riding_min=1. Use this instead: execute @a[score_Riding_min=1] ~ ~ ~ detect ~ ~ ~ water 0 /effect @p 7 1 2? 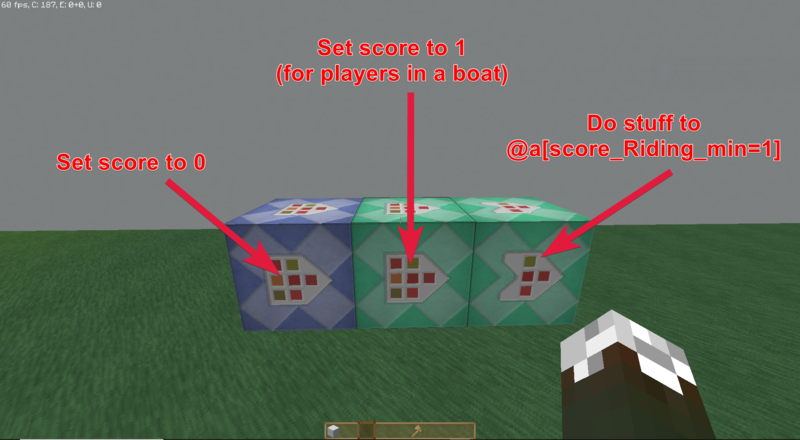 Ensure that you set the Riding score of all players to 0 BEFORE you run the check to see if a player is in a boat, otherwise the score of all players will always be 0. Also, @a[type=Player] is redundant, because @a already selects all player entities. Can I make a redstone clock that detects certain words? How detect a fake player with the highest score in a scoreboard in Minecraft 1.13?